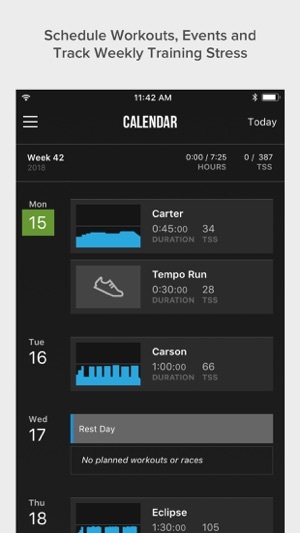 Get faster with science-backed training from TrainerRoad. 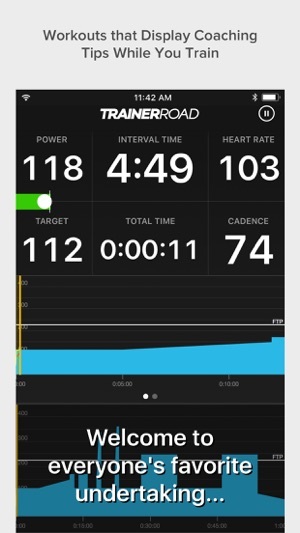 Every indoor workout a rider completes using the TrainerRoad app is based on power and calibrated to their personal fitness level. Along with a vast library of structured workouts, cyclists get access to training plans that tell them exactly what to do to achieve their unique fitness and race goals. It’s power-based training in its most sophisticated and guided form. • Science-backed training plans designed to help you achieve your specific cycling goals. TrainerRoad memberships are $15/month or $129/year. Sign up now at www.trainerroad.com. 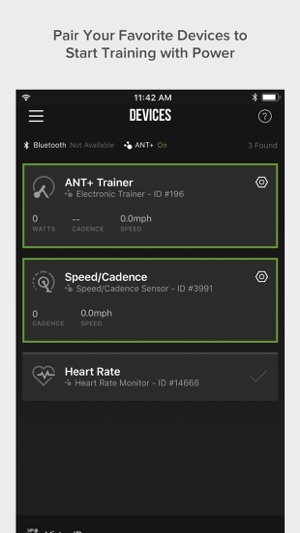 TrainerRoad is compatible with the majority of trainers and training devices on the market. To get started training with power, riders can choose from one of three convenient training setups. To check if your equipment is compatible with TrainerRoad, visit the Equipment Checker at https://www.trainerroad.com/equipment-checker. Have a question for us? We’re here to help! Get in touch with us at support@trainerroad.com. 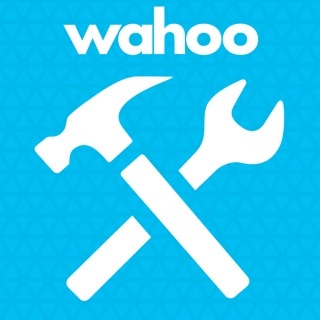 • ANT+ requires a Wahoo ANT Key. Other ANT+ dongles will NOT work at this time. iPhone 5 or newer and iPad Mini, Air and newer also requires an Apple lighting to 30 pin adapter for the Wahoo ANT key. - A few minor changes to the way devices are recognized and calibrated. - Fixed issue where Tacx Flux 2 wouldn't pair over Bluetooth. I have a lot of good things to say about this app and the program, overall. However, there is something (obvious) missing — when TR begins sharing its data with Apple Activity & Health apps I will update to 5 stars. The Sensor pairing has improved tremendously since the early releases. The in ride experience has also improved. The entire TR experience is fairly transparent during a ride and that is a good thing as it allows me to focus on riding and not the app itself. I also love the custom workout creator. I have looked at EVERY cycling app on the market (and I develop iOS apps) and can say that these guys got it right. TR is worth every penny of the subscription price. I do wish there was a better visual for staying in my power zone. I like the horizontal slider and that TR will notify me if I stray too far... but I want to see more than a ‘dot’ for this indication. I’d like to see the entire range (% lower and higher) around my goal power at all times. I’d also like to have some control over this range. Otherwise, I love the experience and it makes me want to train — which is always a good thing! The app is excellent but the company is exceptional. Very few people compete in team sports without a coach, so why should cycling be any different? 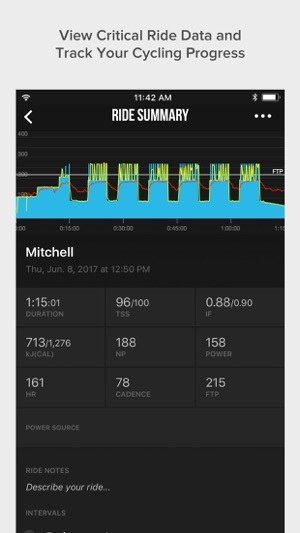 When you sign up for Trainerroad, what you’re getting is some of the best coaching available via Chad Timmerman’s extremely effective workout plans, thoroughly tested, analyzed, and discussed by other members of the staff, including their CEO and multiple Cat 1 and pro riders. More experienced riders can infinitely tweak the plans to their liking, so you’re not stuck with what’s there. Then there’s the free TR podcast that goes hand in hand with the app. Learn about all things bike and training related from Chad, Nate, and Jonathan, as well as Pro/1/2 and industry guests. TrainerRoad would not be the same without the podcast or these people. 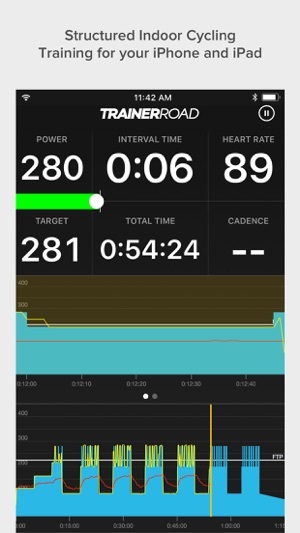 Of all the indoor trainer apps out there, this is the one to get. No gimmicks, seamless integration with smart trainers, and plans backed by experienced riders. YMMV, but it works for them and it’s been working for me: huge FTP gains that were hard on the legs, but easy on the mind because Chad lays it all out for me. Just follow the plan. And let’s be real here. Cycling is expensive. Even if you’re already using another app, you can afford 10 bucks a month to try this one for awhile. I have been using TrainerRoad for over a year now and feel like it offers good returns on my training. I like to follow a plan and check things off so I feel like I’m accomplishing a goal and I can do that with TrainerRoad. Their workout calendar allows me to see my weekly TSS score so I can keep up with it even when I do shop rides. The calendar also allows me to move my workouts around if I miss a day or know that I will be missing a future day. I live in a rural area and actually do many of my rides outside and just memorize the workout before I ride. My FTP has risen some but more than that I am able sustain hard efforts for much longer periods of time. The higher threshold really shows on large group rides and races. FYI I’m a cat 1 MTB racer.